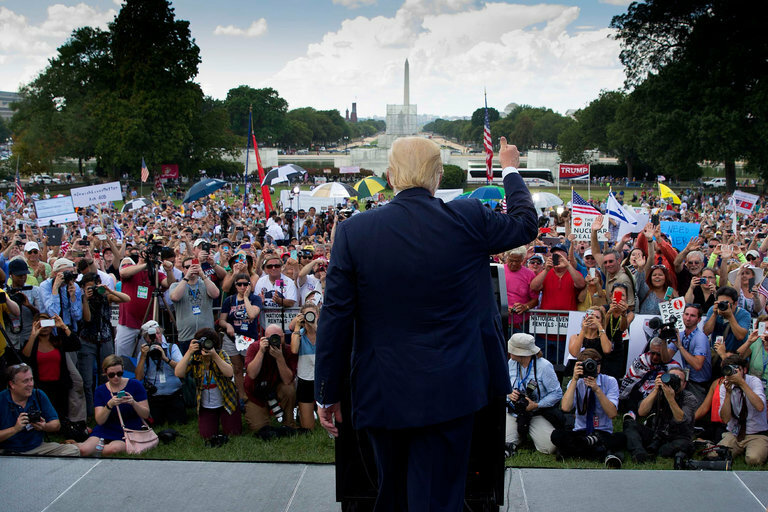 Donald Trump at a rally against the Iran deal in Washington last year. He vowed during his campaign to renegotiate or renounce the agreement. Mr. Trump has called the nuclear agreement a foreign-policy disaster. He vowed during his campaign to renegotiate or renounce the deal, one of President Obama’s signature achievements. It urged the incoming Trump administration to use the nuclear agreement as the basis for cooperation on other issues, including a desire by Iran and the United States to eliminate the Islamic State, which has convulsed the Middle East and carried out attacks in the West. The report was produced by the National Iranian American Council, a Washington group that has advocated improved relations with Iran, even while sharply criticizing Iranian leaders over human rights issues. 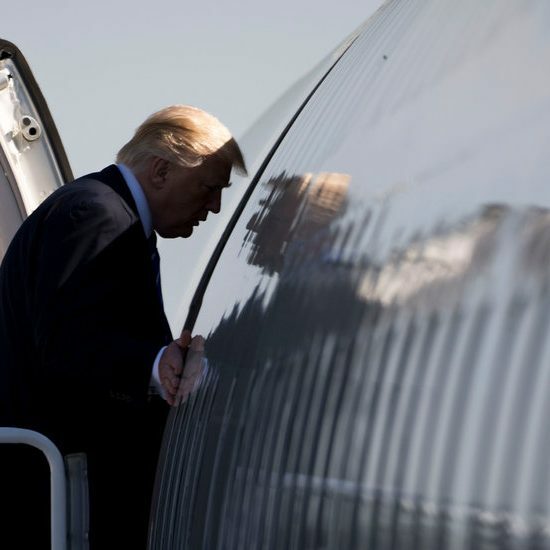 “Trump may have been critical of the Iran deal during the campaign, but he will need the deal to remain intact to achieve his other stated goals,” Trita Parsi, the president of the council, said in a statement. 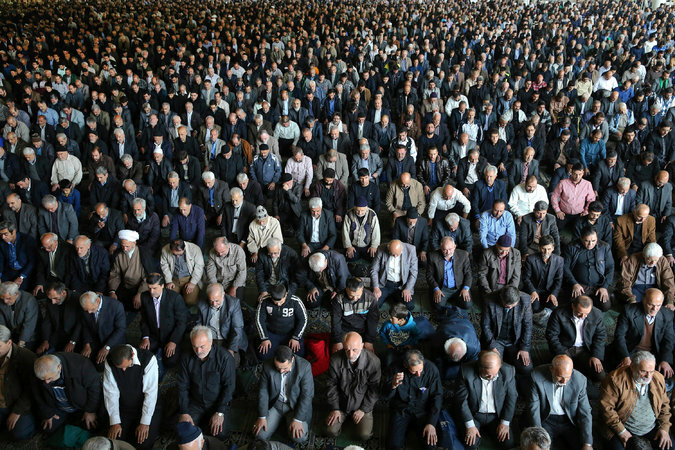 Worshippers attend Friday prayer in Tehran last week. Mr. Trump has called the nuclear agreement with Iran a foreign-policy disaster. Other prominent experts who endorsed the report included Lawrence J. Korb, a former assistant defense secretary under President Ronald Reagan; Lawrence Wilkerson, who served as chief of staff to former Secretary of State Colin Powell; Chas W. Freeman Jr., a former ambassador to Saudi Arabia and assistant defense secretary for international affairs; and Gary Sick, a Columbia University scholar who served on the National Security Council under Reagan as well as Presidents Gerald Ford and Jimmy Carter. The nuclear deal relaxed many economic sanctions on Iran in exchange for reductions in its nuclear efforts and verifiable pledges to keep that work peaceful. Critics of the agreement said Iran was an untrustworthy partner and had been granted too many concessions. How easily — or even whether — Mr. Trump can make good on his promise to renegotiate or scrap the agreement remains unclear. It was negotiated among Iran and six major powers including the United States, and was endorsed by the United Nations Security Council. The countries who joined the United States in signing the deal — Iran, Russia, China, Britain, France and Germany — have said they intend to honor the agreement, which would isolate the United States should it withdraw, and would weaken the effect of any unilateral American sanctions. On Monday, European Union ministers added their endorsement of the agreement. The agreement, which officially took effect in January, has released hundreds of millions of dollars in impounded Iranian funds and spurred a rush of European business interest in Iran trade and investment deals, generating momentum that would be difficult to reverse. 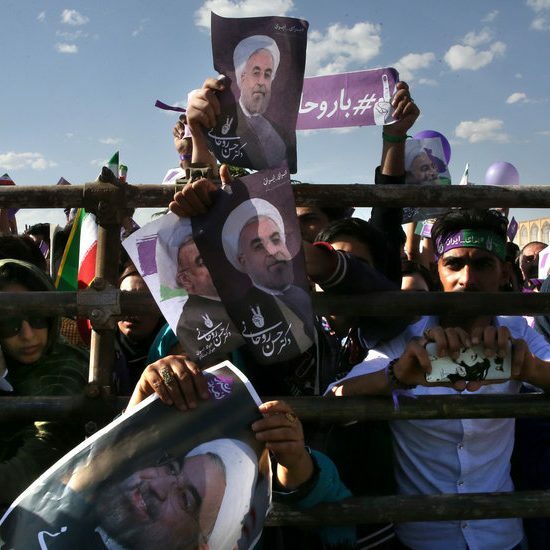 Should the pact collapse, Iran would presumably be free to develop nuclear weapons, an outcome that many nations, including Iran’s Middle East neighbors, say would destabilize the region. Mr. Trump’s repudiation of the agreement would also put him at odds with Russia, risking new tensions after vowing to improve Washington’s relationship with Moscow.